Enjoy a satisfying meal at Elmer Restaurant serving guests of GuestHouse Inn & Suites Eugene / Springfield. For your convenience, a complimentary breakfast is served daily. 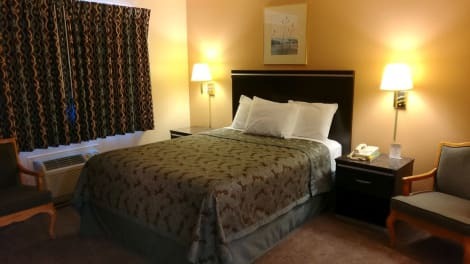 When you stay at Royal Inn Eugene in Eugene, you'll be near the airport, within a 15-minute drive of Hult Center for Performing Arts and Autzen Stadium. 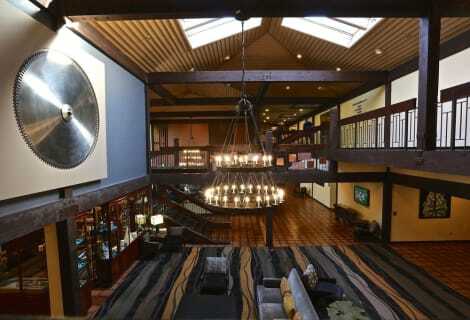 This hotel is 5.8 mi (9.4 km) from University of Oregon and 5.4 mi (8.8 km) from Matthew Knight Arena. 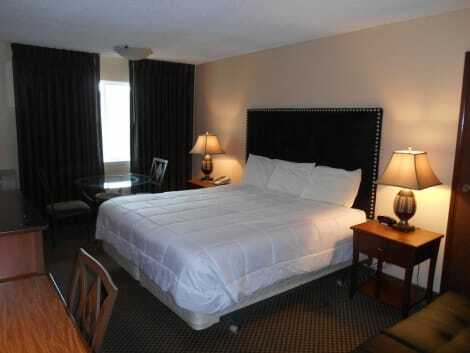 Located in Eugene, Comfort Suites Eugene is within a 15-minute drive of University of Oregon and Matthew Knight Arena. This hotel is 4.8 mi (7.7 km) from Autzen Stadium and 6.7 mi (10.8 km) from Hult Center for Performing Arts. Enjoy American cuisine at SweetWaters on the River, a restaurant where you can enjoy drinks at the bar and dine alfresco. Or stay in and take advantage of the room service (during limited hours). Full breakfasts are available daily from 7 AM to 11 AM for a fee. With a stay at Phoenix Inn Suites Eugene in Eugene, you'll be within a 5-minute drive of Matthew Knight Arena and Hult Center for Performing Arts. This hotel is 0.6 mi (1 km) from University of Oregon and 1.8 mi (3 km) from Autzen Stadium. Enjoy recreation amenities such as bicycles to rent or take in the view from a terrace. Additional features at this inn include complimentary wireless Internet access, wedding services, and tour/ticket assistance. lastminute.com has a fantastic range of hotels in Eugene, with everything from cheap hotels to luxurious five star accommodation available. We like to live up to our last minute name so remember you can book any one of our excellent Eugene hotels up until midnight and stay the same night.